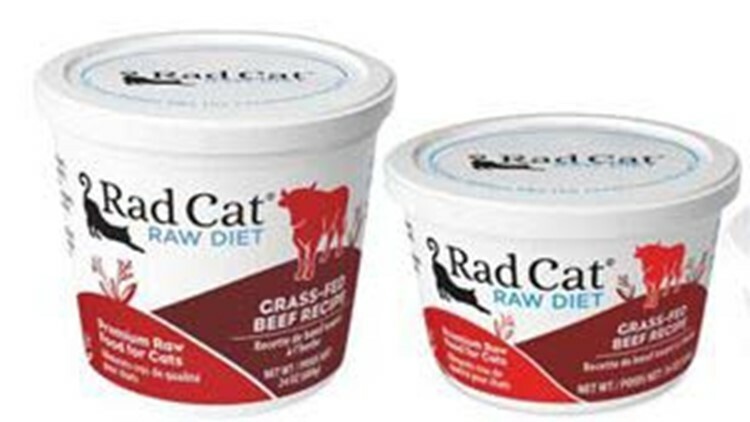 Several varieties of Rad Cat Raw Diet pet food are being recalled because of possible listeria contamination that could affect both animals and humans. Here are the affected products. 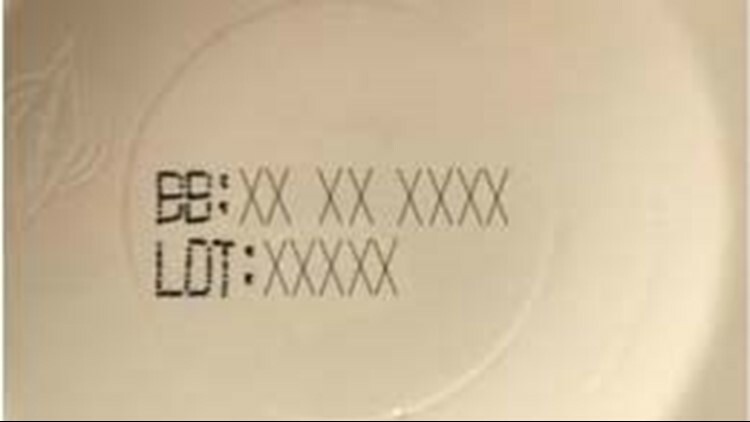 They have a lot number of 62763 through 63101, and best by dates between Oct. 19, 2018 and Dec. 3, 2019 -- both of which can be found on the bottom of the container. Radagast said animals can suffer serious and potentially fatal infections if they eat the food, with symptoms including vomiting, diarrhea, fever, muscular or respiratory signs and anorexia. Humans that handle the food or touch surfaces that were exposed to it could also be at risk. Radagast said animals can also shed the listeria through their feces, onto their coats and into the home, thus creating another exposure risk. Listeria can cause severe and potentially deadly infections, with newborns, pregnant women, people over 65, and people with weakened immune systems among the most susceptible, according to the Centers for Disease Control and Prevention. Listeria infections in pregnant women can cause miscarriages, stillbirths and pre-term labor, and the infection can be passed to the unborn baby. Other people are likely to suffer a headache, stiff neck, confusion, loss of balance and convulsions in addition to fever and muscle aches, the CDC said. Thorough handwashing is urged to prevent infection. Owners whose pets have eaten the recalled food are advised to contact their veterinarian. There have been no reports thus far of animal or human illnesses related to this recall. Consumers who have the recalled food are urged to return them for a full refund. Questions can be directed to Radagast Pet Food, Inc. at 1-877-567-3001 Monday - Friday 9:00 a.m. - 5:00 p.m. Pacific Time or at www.RadFood.com.